I've gone full-circle with my hair products. Because I have the perpetual oily scalp and super dry ends problem I constantly change products, always searching for something that's going to buy me another day without needing to wash my hair. I've been through phases of trying weird and wonderful, exclusive and expensive products, but still ended up washing my hair every day, so I'm now back to checking out what the good old high-street has to offer me. An oldie but a goodie. I used to use this quite religiously several years ago, so looking for a reliable shampoo and conditioner combo for my holiday, I picked these up. Just as I remembered these left my hair feeling very clean but also nicely nourished and very easy to manage. My roots gets greasy after a day with these, but that's the same for me whatever I use. I particularly like the conditioner of this duo - it's thick and rich, which is exactly what I need for dry ends. I was hooked by both the name and the claim with this one. I have some serious split ends and really do need to get myself a hair cut soon - I want to keep my hair long, so I'll only have a trim, but it's well overdue. I thought I'd give this shampoo and conditioner a try to see if I could reverse any of that damage. Even by the time I'd reached the ends of these very large bottles I wasn't noticing much of a difference with the split ends, but that would have been a bit of a miracle! For the price I was really happy with this duo - they left my hair nice and soft and no more greasy than usual. To get more of a benefit on my split ends I probably also needed to buy the matching intensive treatment conditioner from the same range. I've used a similar Tressemmé product before - the thick conditioner in the big tub - and really liked it. I love a serum - my hair's quite long, and as the ends are rather dry and straggly, serums are my saviour on a daily basis. I don't always get along quite so well with oils as they can be heavy, and of course I don't get them anywhere near my roots. But this oil is a bit of a best of both type product. It is an oil, but it's really light-weight like a serum. I use this on my hair when it's wet to smooth, detangle and help me blowdry, and also to finish and make my hair that bit sleeker, or ahead of straightening if I've got the time! I really like this oil, my only complaint is that my hair seems to get quite tangly during the day when I use it - my hair is rather long so that's to be expected, but I didn't notice this when I was using other products. I think I'm pretty discerning when it comes to most beauty and hair products, but to me, hairspray is hairspray and I always struggle to tell one apart from another! This one from Elnett has been great to use on holiday - my boyfriend kept pinching it too - and I've used it on my hair when I've curled it with ghds and it held up really well. I always choose a firm / extra type hairspray, and this was exactly what I'd expect from that type of product. As a plus for this one, I like the slightly dinky size - those gigantic cans can be a pain to hold - and the pretty design on the front. This is the second of these styling sprays from Elnett that I've tried. I previously bought the straight one and really liked it, and this is the one for volume. I spritz this on my hair before blowdrying, and it really helps me to blowdry my hair quicker and with more ease. They're great for detangling and smoothing out wet hair, and I get a sleeker finish from my blowdry. I liked the volume version as much as the straight one I'd tried before and couldn't really spot a difference between the two - probably because my hair is naturally very flat! This is something I'll keep replacing when I run out as it really suits my hair and my routine. This is my first time trying anything from Andrew Barton, and the first thing that surprised me was the price - it's a really good value 'supermarket' range which I expected would have been a lot more expensive - the shampoo and condtioner cost £4 each and they're currerntly on offer for 2 for £4! 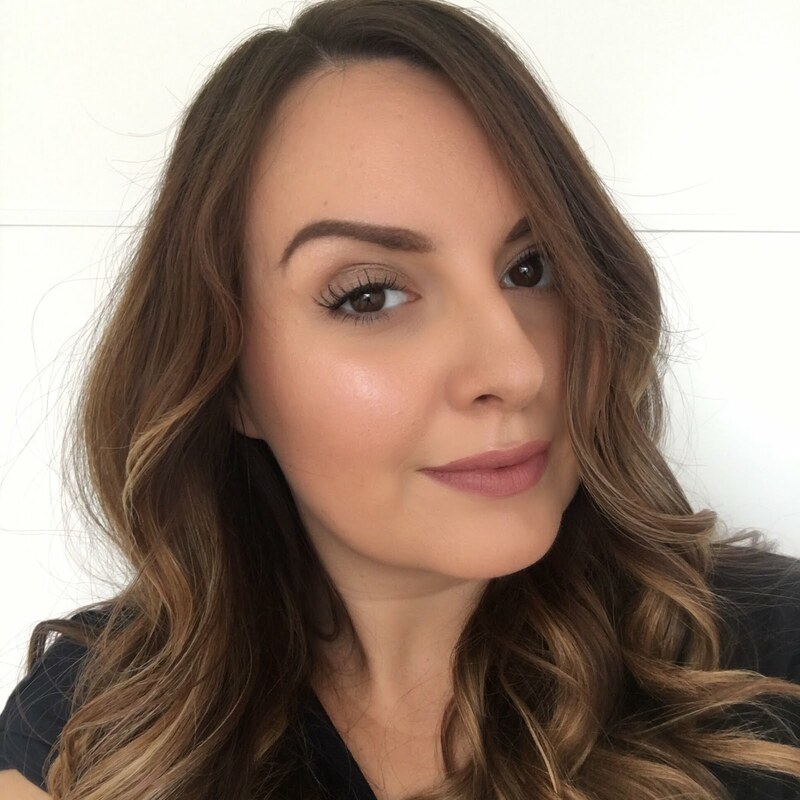 I made a bit of a misjudgement about this line - as it says it's for brunettes I thougt it was going to add a hint of colour or somehow make my natural brown look richer, but on closer inspection, this product is all about shine. I've heard before that shine can be very much dependant on colour - apparently blonde hair is the most difficult to get to shine - so here the formulations differ for each colour. I definitiely noticed my hair was much shinier than normal after using these, so I was very happy with that. The only drawback for me is that I didn't find the conditioner moisturising enough so I switched out to another and found I still got the lovely shine just from using the shampoo. I've run these out now, but I'd certainly go out and buy the shampoo any time my hair was feeling a bit dull. What's your latest hair care discovery? Great post. These products sounds amazing.